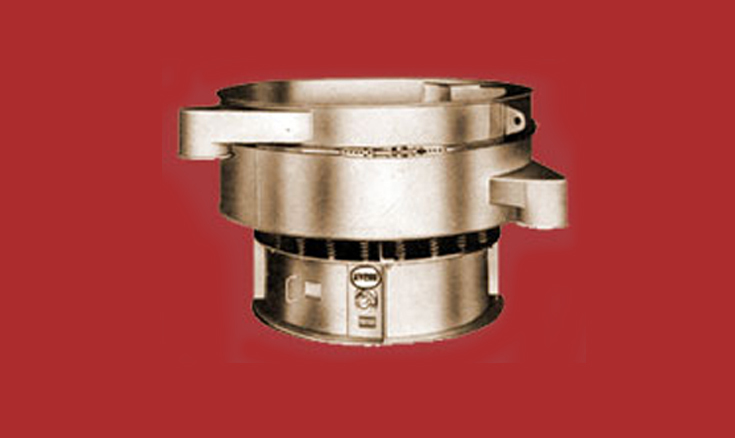 SHAKTI Vibro Seperator is a screening unit Vibrating in three planes along the vertical axis. This is accomplished by a specially designed Vibratory Motor having eccentric weights at the top and bottom ends of the motor shaft. The motor is mounted Vertically at the centre of the screening assembly. on a circular base by means of springs which allow the unit to vibrate freely. The springs absorb the vibrations and prevent them to be transmitted to the floor. a) Rotation of the upper weight creates vibrations in the horizontal plane, enabling the material to move across the screen from the centre to the periphery. b) Rotation of the lower weight gives vibrations in the vertical and tangential planes. The relative positions of the upper and lower weights can be manipulated to obtain various screening patterns, thereby achieving maximum production and screening efficiency for a variety of products, may it be wet or dry, fine or coarse, heavy or light etc. It can handle a wide range of materials, heavy or light, dry or wet, coarse or fine, hot or cold etc. High rate of production can be achieved even with finest powders. As many as five screens could be mounted on one separator achieving six sizes. These seperators achieve greater production, seperation per unit of screening area as compared with any other screening method or device. MINIMUM BLINDING OF SCREENS :- Due to vibrations in the vertical plane, blinding of screen is minimised. However, for certain materials which have inherent blinding, sticking property, special accessories can be used to eliminate this problem. The discharge ports could be rotated and are most adoptable to your process needs. The screen cloth is held taut uniformly by tension rings. This arrangement enables clean screening, less screen wear and longer screen life. There is no vibrations at the screen base. Even no flooring is needed. You can mount it on Bins, upper floors, planks or wherever it is most suited. You can even mount it on castors. The design enables to utilise the vibratory force generated by the motor to the optimum and very few moving parts reduce the maintenance to minimum.